This waterslide is super fast and is fun for 2 riders at once. 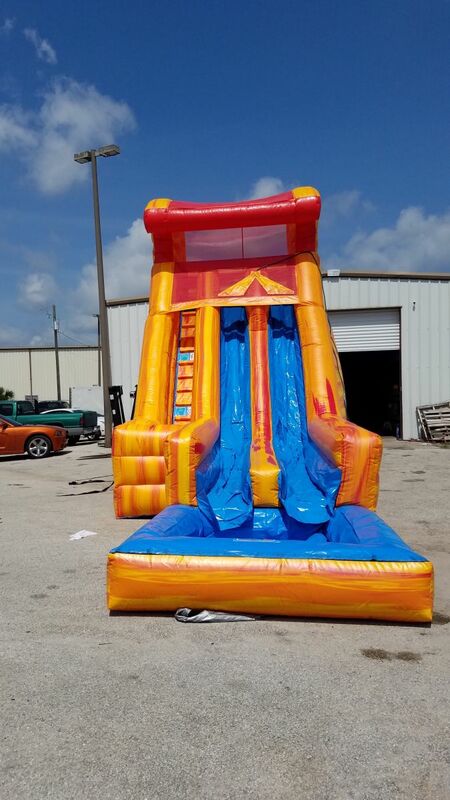 This beast is 22 feet tall and has the always popular fire marble coloring, a longer than normal sliding surface leading to a big pool for the best splash in Polk County. All of our waterslides are measured when we receive them, we DO NOT exaggerate our numbers to make them sound bigger than they actually are. We are the home of the no B.S. numbers. 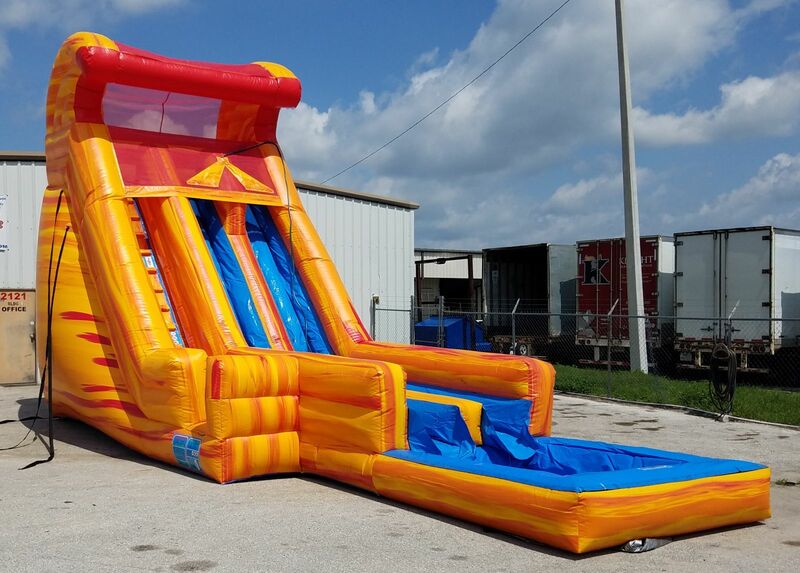 This Slide has a "No Jump" safety feature to keep your guest from trying to jump over the netting or down the slide. Safety is our #1 priority and our longevity proves that.